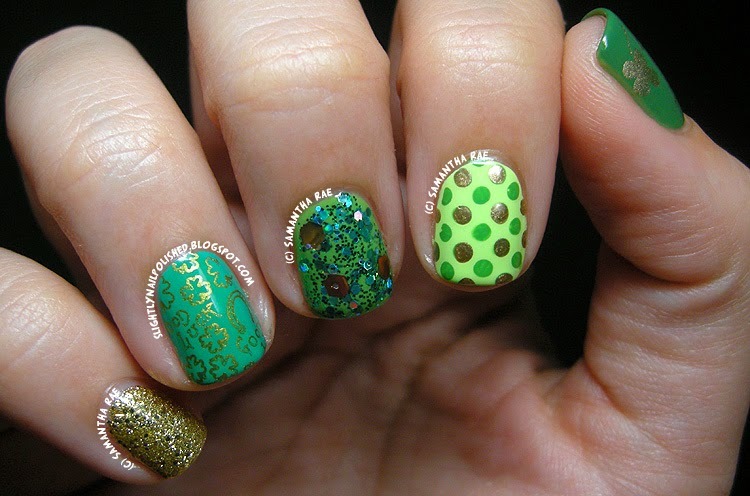 Slightly Nail Polished: Happy Saint Patrick's Day!!! I couldn't decide what I wanted to do with my nails. It seems to me that on many of the new plate sets they have a TON of St. Patty's images to choose from. Especially the Cheeky 2013 Jumbo Holiday plate. 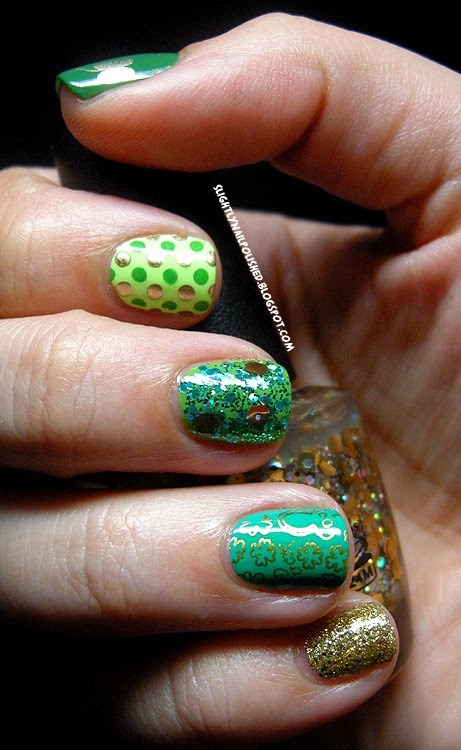 I also have to admit that I love green polishes, so I had a ton of those to choose from as well. I really love how this turned out. I used so many polishes, yet somehow they go together flawlessly. I love those dots. 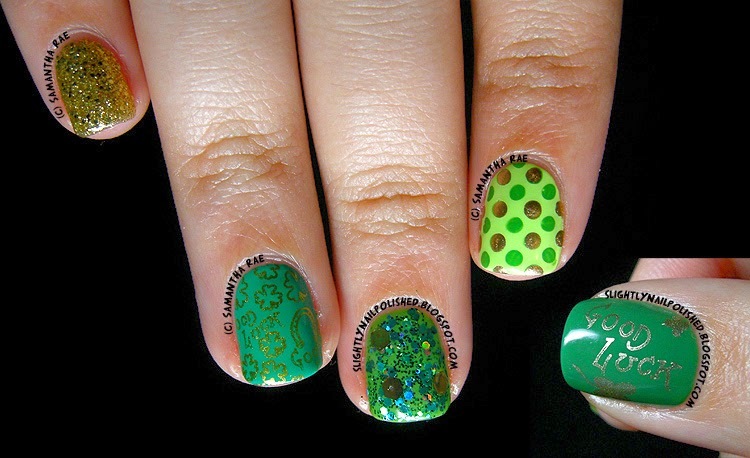 And I went with a 'good luck' theme with my stamping. Looking forward to showing these off at work today. I definitely won't get pinched with these nails! Good Luck Clover Stamp: Cheeky Jumbo Plate 6 "Happy Holidays"
Good Luck Stamp: Cheeky Jumbo Plate 6 "Happy Holidays"